Pneumatic drum mercenaries Barberos serve up heavy duty new record ahead of Mello Mello comeback gig. 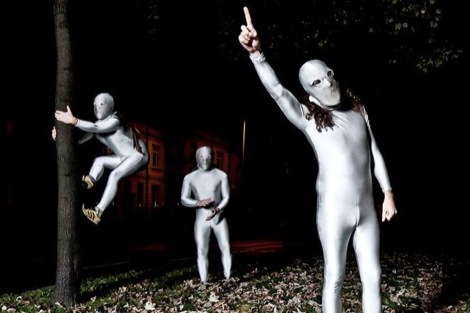 Everybody’s favourite migrane-inducing, lycra-donning, electro scare-tactician trio Barberos are back with a new album. The snappily-titled 000 was released earlier this month and harnesses the kind of ferocious percussive clatter and cyber-sonic warfare the Liverpool collective are known for. Opening with the pummelling barbarism of Hot Squash, the record bleeds into a visceral assault on the senses in keeping with their choice support slots of Chrome Hoof, Dalek, Action Beat and Melt Banana. 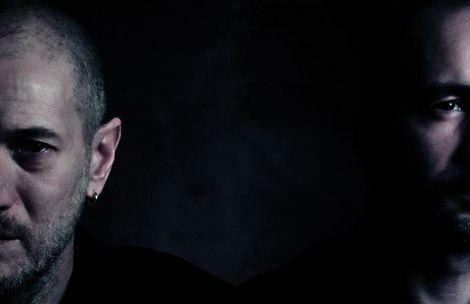 Track two, Accent, is a warped detour through the entrails of deep psychosis which pauses for breath around the four minute mark before diving headlong into a warped abyss of bleak nose-bleed-inducing techno. Modulated, frenetic synths and tribal clatter punctuate the noisy pop stomp of Les Noisettes while Colin & Candy has all the hallmarks of an a.P.A.t.T. dance hall number melding grinding electronica, jazz-time percussion and syncopated rhythms. Indeed, it should come as little surprise, that a.P.A.t.T.‘s General Midi‘s production paws are all over the murky mixing desk. C&C’s final third is perhaps the five-track’s high point with a super-funk strut colliding with truly nasty, sludgy drum breaks. The maddening swirl of Moon Beats closes 000 in characteristically bombastic fashion leaving the body fizzing. The band kick off their four-date tour in Glasgow on September 27 before heading to Mello Mello on September 30 alongside French dance-punks Poil and fellow noise lunatics Jazzhands. DJ Isocore mans the decks. 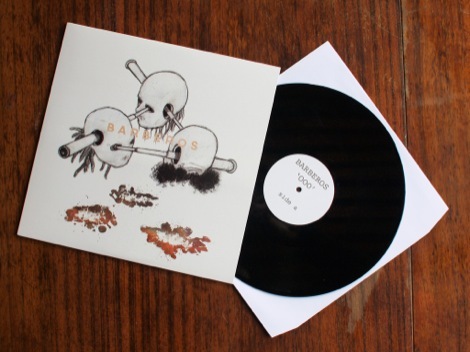 000 is out now and limited to 500 copies for more info on Barberos‘ Mello date click here. Getintothis reviews Barberos with Mouse on Keys at Leaf.